Waseem Noor formals 2013 for women and girls were released recently. 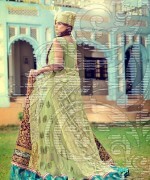 These dresses are quite different from those in Waseem Noor formal wear collection 2013 in terms of colors and styles. Long shirts and frocks with lots of flare can be seen in Waseem Noor formals 2013 for women and girls. Banarsi fabrcs and embroidery has been used for the embellishment of these dresses, which are inspired from the Mughal era. Moreover, each dress has lots of colors. So, if you would like to get something that you can wear to a party or a wedding, check out Waseem Noor formals 2013. Waseem Noor is one of the great designers of Pakistan. His clothes are liked by people in Pakistan and many other people around the world. The clothes of Waseem Noor are meant for women and girls. 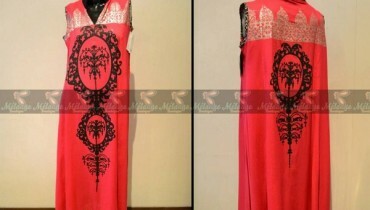 For women and girls, the designer offers casual wear, semi-formal wear and formal wear dresses plus bridal wear dresses. A lot of different collections of stylish dresses have been launched by the designer up till now. 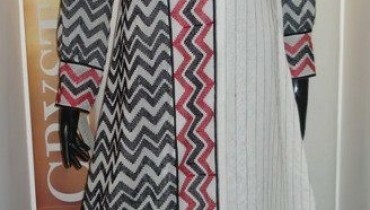 The designer is in Karachi and can be met with appointment. For appointments and orders, call the designer or email him. A lot of his clothes are available via different Pakistani multi-brand stores and multi-designer stores abroad. Waseem Noor formals 2013 for women and girls can be seen below. The pictures of these formal wear dresses are given. If you would like to get anything from among Waseem Noor formals 2013, you can go to the places where dresses of Waseem Noor are sold. The names of such places are mentioned on Facebook. Also, you can email the designer through the email address on Facebook. The address of the Facebook page of Waseem Noor, which contains these details, is given below.